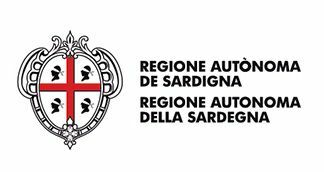 Each Local Working Group has travelled around each own Mediterranean regions from July 2014 to March 2015 in order to conduct a baseline study on Mediterranean Diet and Local Traditions. This research has been carried out through interviews to 120 elderly people and people involved in production, fishing and harvesting. These interviews have been uploaded in the platform, which is our Mediterranean Diet database. 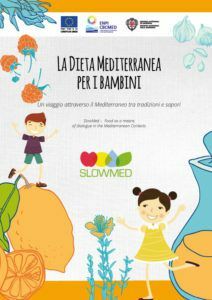 Watch the Final Documentary of SlowMed: produced by the Local Working Group from Spain, this documentary summarizes the experience in all the countries involved by the project, giving the “big picture” of the importance of the intangible heritage of the Mediterranean Diet in our lives. 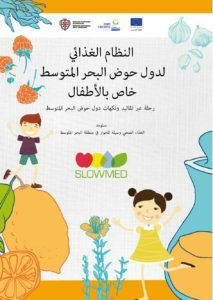 Come to enjoy the Mediterranean Diet through the eyes of Italy, Spain, Portugal, Lebanon, Egypt and Palestine! 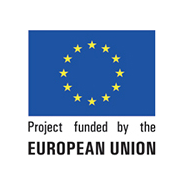 Each Local Working Group has collected film material during the research period of the project, developing a regional documentary on Mediterranean Diet and Local Food Traditions. Enjoy the mix of images, sounds, languages and witnesses of the Mediterranean Basin: in these documentaries, Italy, Spain, Portugal, Egypt, Lebanon and Palestine show – through their artistic expression – the importance of the intangible heritage within the Mediterranean Diet, discussing with the older generations and conveying its strong and healthy message to the youngest ones. 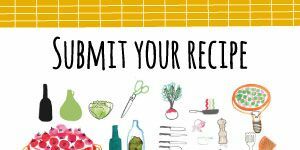 This recipe book collects a total of 24 recipes – taken from the interviews with elderly people – from Italy, Spain, Portugal, Egypt, Lebanon, Palestine. Divided according to the 4 seasons and following the daily distribution of meals according to the Mediterranean Diet (breakfast, snack, lunch, dinner, dessert), this book is a guide for children to discover not only their own recipes and connected traditions, but also the richness of the culinary heritage of the Mediterranean Basin they live in, a way to start an intercultural dialogue not only with words, but also through taste, flavors and senses. It’s available in 5 languages: English, Italian, Spanish, Portuguese, Arabic. Discover this new plate, the winner of the International Fusion Dishes Competition: it is the result of the collaboration of chefs coming from Italy, Spain, Portugal, Lebanon, Palestine and Egypt. 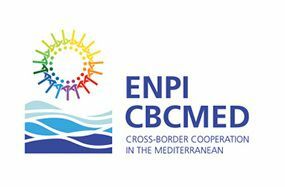 Read it, cook it and taste the Mediterranean dialogue. It is a value paper highlighting the results reached by the project but also the further objectives that the partners commit to pursue in the future, involving stakeholders and active policy makers on the field for a change and a strong input for the preservation of the Mediterranean Diet. Download the Value Paper here. 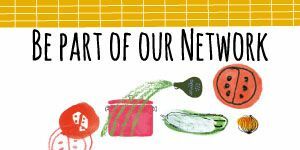 Join the wonderful journey of the Italian Local Working Group discovering the secrets of the Mediterranean Diet. The Documentary – recorded in the island of Pantelleria – tries to describe the close relation between the Mediterranean Sea and its people, the food and the healthy lifestyle connected to the Med Basin, a place where dreams and expectations become true. The time going by slowly is another feature connected to the Mediterranean Diet and the society in which it has grown, bringing to an ideal and dreamy closure where older and young generations share together their lives around a table. Documentary developed by Francesco Murana, Alessandro Librio, Angelo Zito and Giuseppe Lanno. Thanks to Centro per lo Sviluppo Creativo Danilo Dolci. Showing the main characteristics of the Mediterranean environment in Egypt, the Documentary makes us think about the importance of preserving the intangible heritage of our traditions, fighting the current globalisation process which is affecting our healthy lifestyles. Documentary developed by Adam El Gabri, Mohamed Zayed, Ihab El-Emary, Abdallah Dawstashy, Amr Omar, Ahmed Thabet, Yasmine Hussein, Mahomoud Saad, Mina Nader, Essam Barakat, Diaa El Said. Through the seasons of our life, come to discover the richness and the wonderful landscapes, fruits and products of Lebanon, having a taste of the amazing way Mediterranean Diet has been living by its inhabitants. The Documentary shows us a metaphor comparing the 4 seasons to 4 periods of a woman’s life. All the video follows the perspective of an old man writing his last wills and communicating to his children a lesson of life, suggesting to follow the steps of Nature and eat what it offers naturally. Thanks to Arab Resource Center for Popular Arts. Through the main meals composing the Mediterranean Diet, this documentary brings us in the discover of secrets of Mediterranean lifestyle in different regions of Spain, meeting wonderful people and their stories composing all together the incredible and amazing image of the Mediterranean. Documentary developed by Didac Roger, Alex Brull, Alfonso Bonet and Aleix Fernandez. Thanks to Fundaciòn Dieta Mediterranea. Through the eyes of a Portuguese guy, we’ll discover the treasures of Algarve, on the southern part of Portugal. Among traditions, local productions, fishing and harvesting, the Documentary will make us discover the importance of the Med Diet in our life, showing its Soul hidden in the littleness of its traditions and values. Documentary developed by Fulvia Almeida, Ana Medeira, Jorge Mestre Simao, Rodrigo Cortegiano. A travel around Battir will show us the specific treasures of this land, highlighting how the Med Diet’s importance has been kept and conveyed to the new generations. Enjoy the flavors and the tastes for your eyes, discovering a new way of living the Med Diet. Documentary developed by Hanna Abu Sada, Fady Abu Akleh, Shiraz Rishmawy, Ramez Khoury, George Abu Sada. Edited and directed by Ala Khoury. Thanks to Battir Landscape Ecomuseum.